If you have a group of friends considering a trip to Croatia, Group Travel is a great way to travel. Few things in life are more exciting than a shared travel experience with a group of friends, sampling the nightlife and culture. From the extensive national parks to the cities of Dubrovnik and Zagreb, it's easy to find an itinerary to cater to everyone. It is a fact that most groups traveling together can get exclusive discounts if traveling in Croatia on a single reservation. And just for being the organizer, if you have enough people you might be able to get a free hotel and discounts on your airfare. Enjoy the quiet back roads, medieval cities and magnificent scenery of undiscovered Croatia and Slovenia. Experience the natural wonders of Plitvice National Park, the Postojna caves and the Bay of Kotor, the deepest fjord in Southern Europe as well as the magnificent man-made structures of imposing Bled Castle, Ljubljana's Baroque Town Hall and the city whose beautiful architecture earned it the nickname, "Pearl of the Adriatic", Dubrovnik. View the complete day to day Croatia & Slovenia Itinerary. Come visit the small Mediterranean country of Croatia, home to a unique culture, historical monuments and a wealth of Roman and medieval ruins. 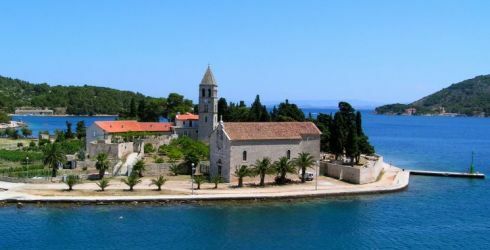 View the spectacular coast, old fishing villages, small islands and impressive cathedrals and churches as you wind your way through Croatia's best sights. Discover surprises such as Croatia's fjords and the Plitvice region's terraced lakes. View the complete day to day Croatia at Its Best Itinerary.